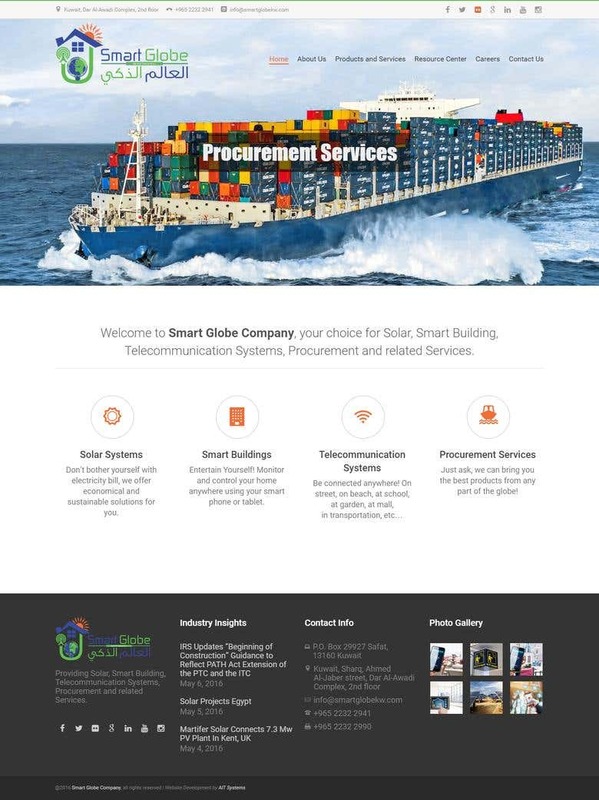 Smart Globe company is in Kuwait and we created a website for them based on WordPress. AIT Systems was established in March 2010 and provides web design and development and related services to customers all over the world. We have created dozens of web projects, especially based on WordPress and other open source software. We also provide website speed optimization using caching, CDN, Amazon S3 Backup and other AWS serviced, server setup on the cloud, dedicated, shared or VPS. Speed optimization will make your website load lightening fast, hence increasing its rank on google. We also provide Linux server administration services with long experience with Redhat. Centos, Ubuntu, Apache, DNS, and other TCP/IP servers and services. We also provide ERP Services on Odoo and ERPNext. You will benefit from our business values such as: - Professional web development. - Projects are finished to budget and on time. - Quick response to emails. - Support available on skype. Looking forward to starting on your projects.